We are celebrating American Craft Beer week by bringing to light 5 classic American beer styles. First up, Steam Beer! 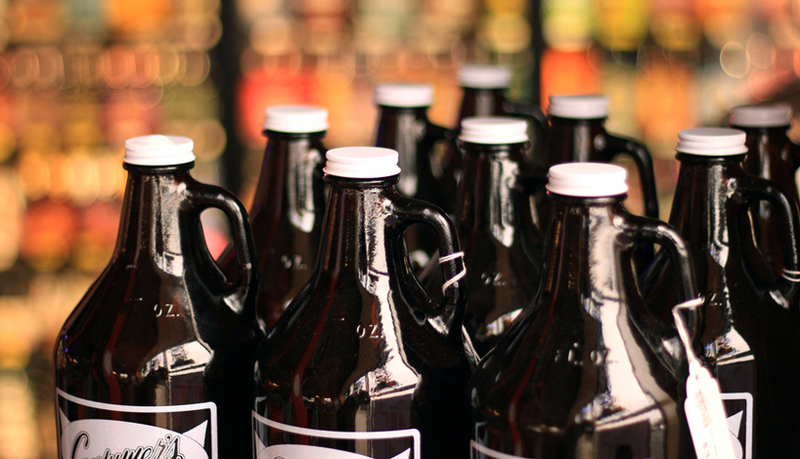 Steam beer dates back to California in the 1800’s where ice and refrigeration were at a minimum. Brewers originally tried using lager yeasts without ice and had to find alternative methods to cool their beer. Shallow, open fermenters were employed and would be positioned on rooftops, where the much cooler night air would help the beer cool, thus creating a ‘steam’. This visual is where this classic beer gets it’s name. The result is a rich, amber beer with a thick, creamy head and a clean finish. Also known, as the ‘California Common’, San Francisco brewery Anchor Brewing Co. trademarked the term ‘steam beer’ in 1981. 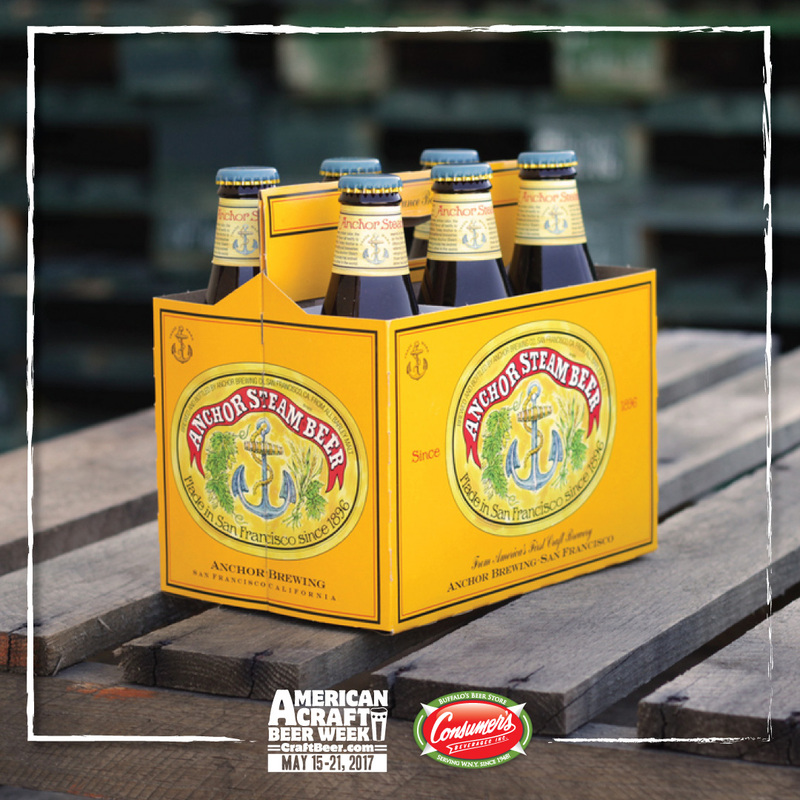 Anchor Brewing still makes its Steam beer today! Second up is American Wheat Beer! 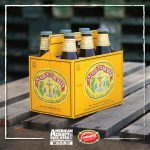 They were first introduced to America by German immigrants in the early 1900’s, American Wheat beers are an extension of their German cousins, using many of the same traditional ingredients. These beers were very popular amongst German communities, however the style lost much of its popularity due to prohibition and the subsequent era of lagers and pilsners that soon followed. Wheat beers re-emerged in America post-WWII after American soldiers re-discovered the style while drinking it in Germany during the war. Since then, Wheat beer popularity has steadily been on the rise. American Wheat beer is defined by bready malt flavors with an overall balance between sweet & bitter. It’s focus is more on yeast character rather than hops, frequently serving as a gateway beer to more intense and complex beer styles. 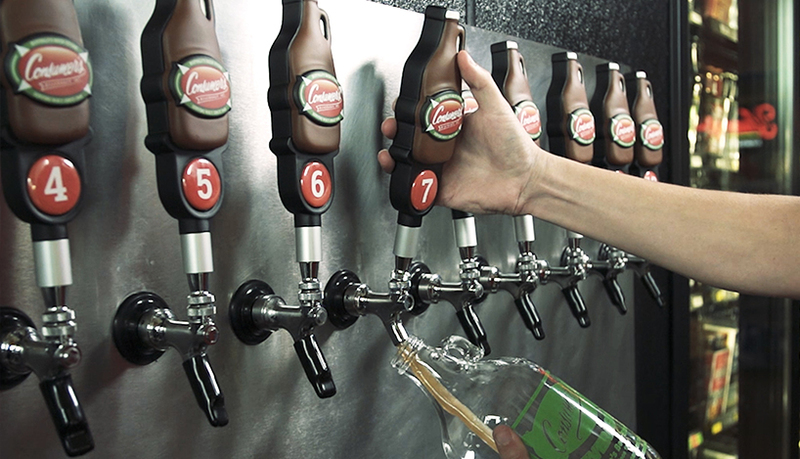 Now traditionally filtered, this process gives the beer a crisp, clean look and a snappy finish. 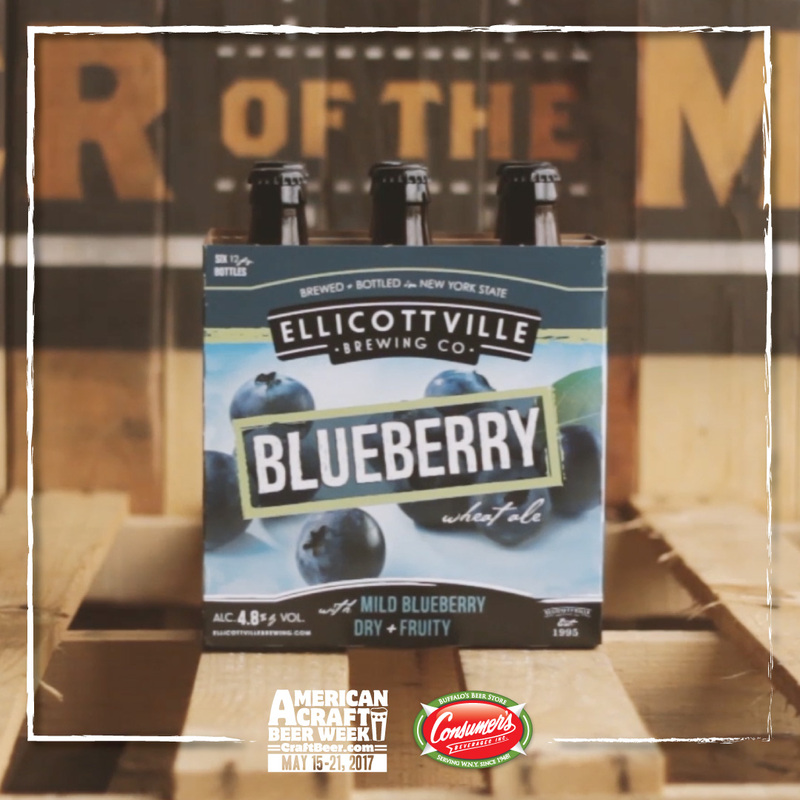 In today’s exploratory beer world, brewers have taken to adding fruit and other non traditional ingredients to their recipes such as Ellicottville Brewing Company’s Blueberry Wheat. 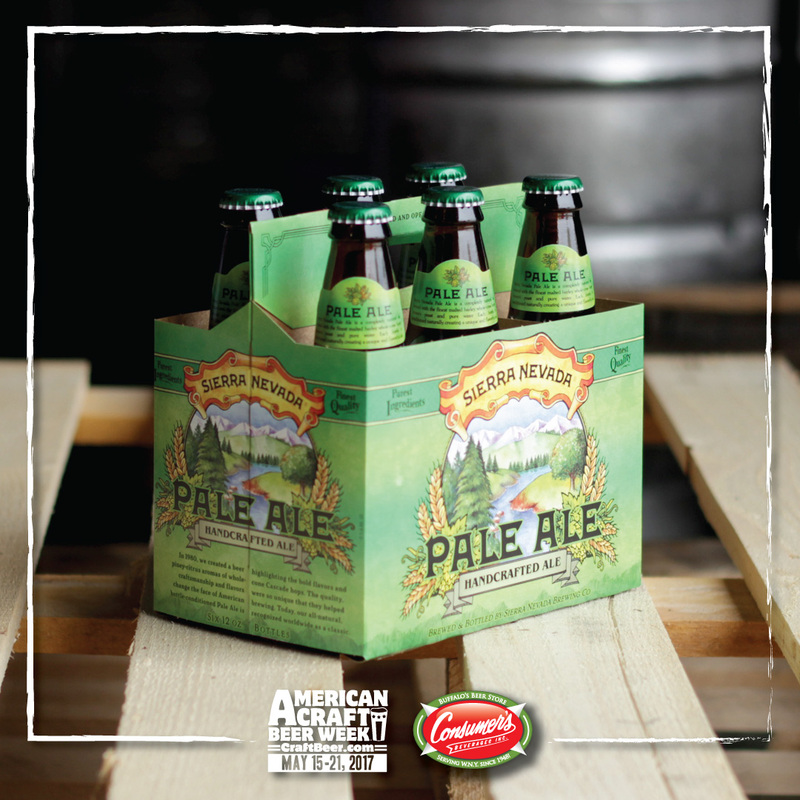 We continue our American Craft Beer series with a favorite… the American Pale Ale! 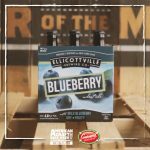 Hopped up American made Ales date back quite a few years before what we know today as the American Pale Ale style. The advent of the American Pale Ale style began in the mid 1970’s by Jack McAuliffe & his New Albion Brewing Company who began making their New Albion Ale in extremely small batches out of a garage in Sonoma, California. This beer was a hop-forward Pale Ale focused on the Cascade hop varietal, which originated in Oregon. It served as inspiration for many breweries to come, including The Sierra Nevada Brewing Company who began packing large quantities of American grown hops into their Pale Ale…now known as one of the defining examples of the style. American Pale Ales showcase hops in both an increased bitterness and aroma while retaining their sessionable qualities. Sierra Nevada has been making this best seller since 1981 and is quite possibly one of the most influential beers in modern history. Just a few years later, a little brewery in Cleveland named Great Lakes Brewing Company was getting started and began making their multi-award winning Amber Lager, Eliot Ness..named after one of Prohibition’s toughest agents. It combines a smooth body, toasted malt characters and a spicy hop nose. It has won 12 medals at the World Beer Championships between 1995 and 2010 and more importantly, the adoration of beer lovers everywhere. This is a do-all beer; able to squash the heat of spicy foods and accentuate the sweetness of rich desserts. A classic, for sure. We’ve come quite a long way in the last 14 years as a nation of breweries. The style leader of the pack? IPA. Plain and simple, American IPA has had more impact on craft beer sales growth than any other style of beer on the planet. Our addiction to hops has pushed the envelope so far that IPA is often the first beer someone will ask for at a bar or in a beer store. 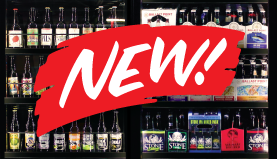 “What’s a good IPA?” Well…that’s up to you to decide what’s good but we do have a couple offerings that have proved their worth, time and again. 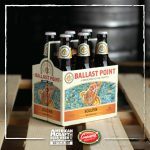 Ballast Point Sculpin has only been available in the WNY market for a handful of years but has been widely known as one of the world’s best since it’s beginning. Sculpin’s crisp, light body is a showcase for the bright, clean and citrusy side of hops; a west coast classic. 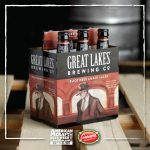 Back east, Great Lakes Brewing Co’s Commodore Perry IPA dives into the [OG] British Style IPA with an American twist, featuring piney Simcoe hops against a dry, caramel malt body. These examples are just two of the thousands of IPA’s who have made their mark on people’s palates nation wide and who have turned us into the hop-centric nation known the world around.